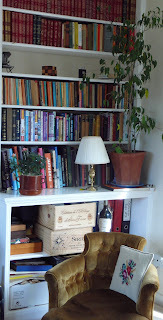 Since moving I feel have been very bad at blogging, which is surprising as we no longer have a television. Things are getting more and more sorted and slightly better at shoveling coal into the rayburn, or relighting when it has gone out. K still had to wait till 9 for his tea last night as there just was not enough heat. I hate giving in and using the electric cooker it feels like you have failed. I'm sure normal blogging will resume shortly. 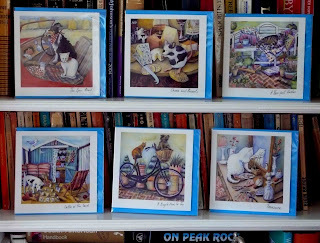 I have though updated the website and shop, with all the lovely new cards. There are now 14 square designs they all display there quirky title on the front and I have chosen a very smart blue envelope for them. 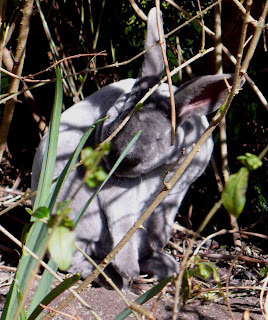 Captain Rupert has been enjoying a spot of gardening in between nibbling on things he probably should not, he has discovered a favourite hiding place behind some over grown bushes. 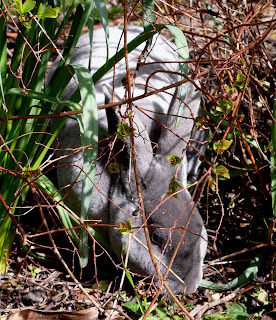 Sitting behind the protection of the bushes he can feel safe watch the world go past and he is talking distance to the birds on the nearby bird table. Yesterday he was visited by Mr and Mrs Pheasant who strutted there stuff around the garden and kept Captain Rupert amused. Unfortunately there has been a sad event in the garden. Mr chaffinch was discovered dead next to the summer house window. Captain Rupert has questioned next doors cat but it is thought it was just a sad accident. Poor Mrs chaffinch is of course very upset, Captain Rupert is trying to keep her spirits up. 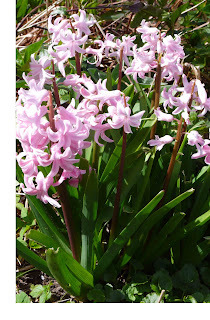 It is so lovely to have a garden again. 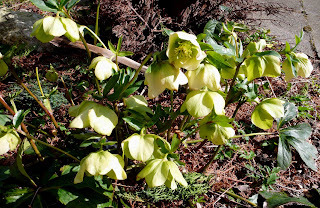 At the moment I'm enjoying seeing what plants are springing up. I'm planing a new flower bed with lupins and hollyhocks and lavender, its going to be in the front garden far away from captain Rupert. At last I got some painting done. 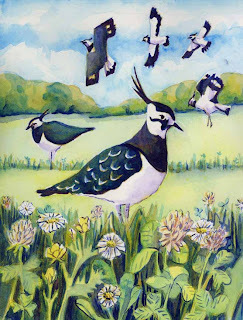 I really wanted to get a lapwing painted for a fair I attended on Saturday. It was my first outside fair actually I have not really done many before, so I learnt a few things. I wanted the lapwing painted as it all happened because of the launch of a lapwing survey to find out how many are left in the south downs. The are lovely birds with wonderful colours not many real ones could be spotted on saturday. I'm going to be keeping a good look out for them. Slowly things are taking shape in the house. Our first thing was to build shelves and K did a wonderful job on them. On Saturday night I had finished the painting, put the last screws in and then I could start to put the books on. It was so nice to get some more boxes unpacked. We have also boarded the loft, which also helped get lots of boxes out of the way. There is room for a spare bed instead of piles of boxes.